Small deciduous tree bearing edible hazelnuts also known as filberts. Eat fresh or lightly roasted. 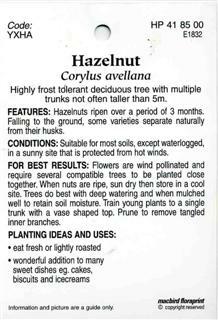 Highly frost tolerant deciduous tree with multiple trunks not often taller than 5m. 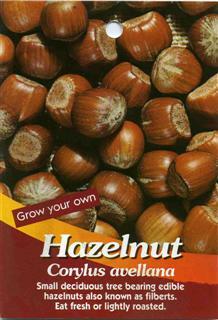 FEATURES: Hazelnuts ripen over a period of 3 months. Falling to the ground, some varieties separate naturally from their husks. CONDITIONS: Suitable for most soils, except water logged, in a sunny site that is protected from hot winds. FOR BEST RESULTS: Flowers are wind pollinated and require several compatible trees to be planted close together. 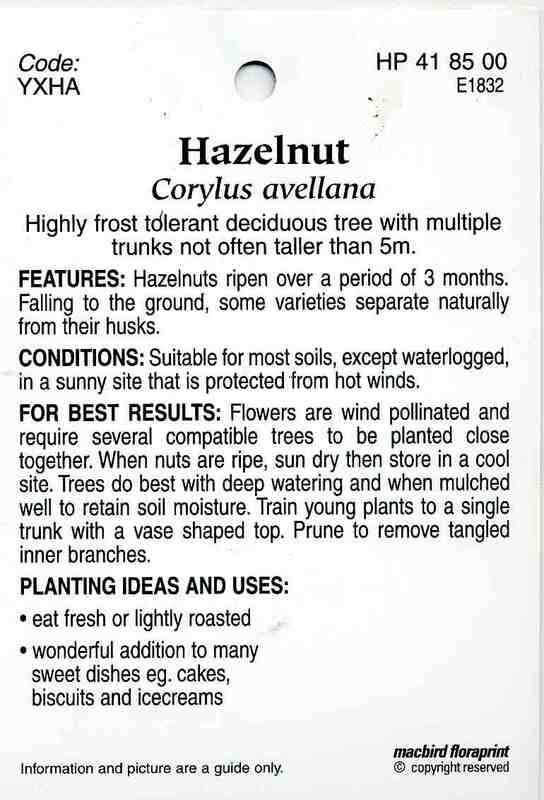 When nuts are ripe, sun dry then store in a cool site. Trees do best with deep watering and when mulched well to retain soil moisture. Train young plants to a single trunk with a vase shaped top. Prune to remove tangled inner branches.